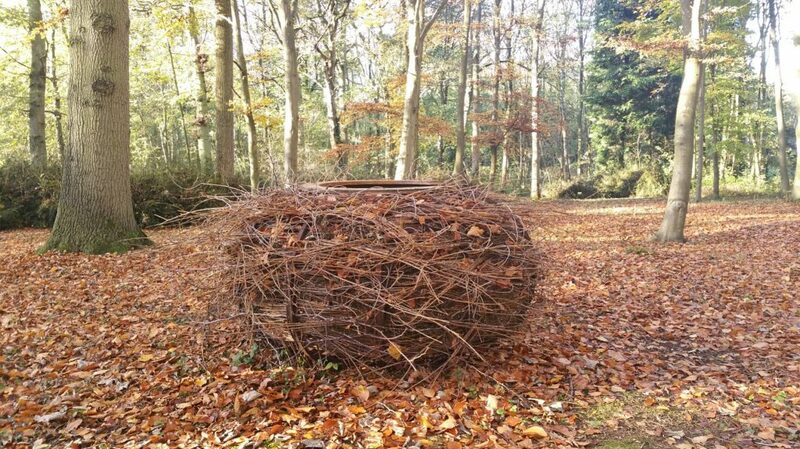 During your visit to Evenley Wood Garden, you may spot two very unique, human-sized willow nests. These nests were designed by artist Kasia Howard, and have lived here since 2014 after being featured at Hampton Court Flower Show. 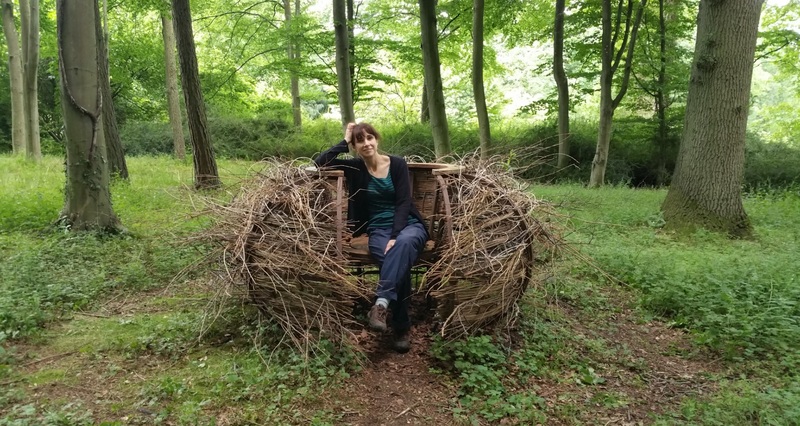 Read Kasia talk about the nests below. I spent the late 90’s and early 2000’s working in theatre and multi-media. It was an exciting time, at the start of the digital media revolution, but after a few years I felt like I was stuck in black box – I needed sunlight and contact with the outside world. I already had an interest in gardening and I was often out and about at weekends exploring some of the many wonderful gardens open to the public. 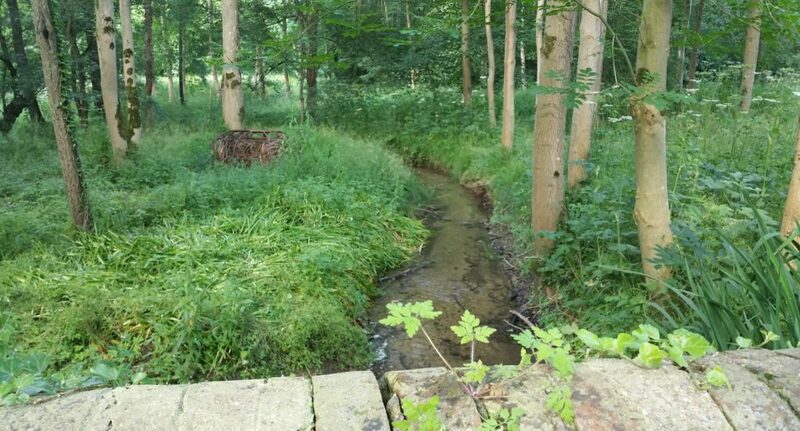 I was attracted to the creative aspect of gardening and by the work of colourists such as Gertrude Jekyll, sculptors such as Andy Goldsworthy and contemporary landscape architect Kim Wilke. 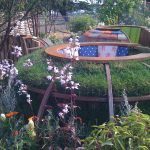 I realised that I could apply some of my creativity to my own (tiny) garden space and began experimenting with structures, levels and planting. Working in 3 dimensions with the added element of slow seasonal change was very refreshing and a great antidote to the digital world. The idea for the nests first came about when Bird Flu hit the UK and there was a local scare. I began to think about the migrating birds and the perceived health threat. People talked about quarantining birds, or stopping them landing – it seemed like madness. I made the link between these birds and my own family history. My parents were WWII refugees and they arrived in the UK and settled and made a home for themselves. I wondered what it would have been like if they had not been allowed to settle. Where would their migration journey have taken them? Who would have welcomed them and where? What sort of home would they have been able to create for themselves? This was many years ago, but that link now seems more pertinent. 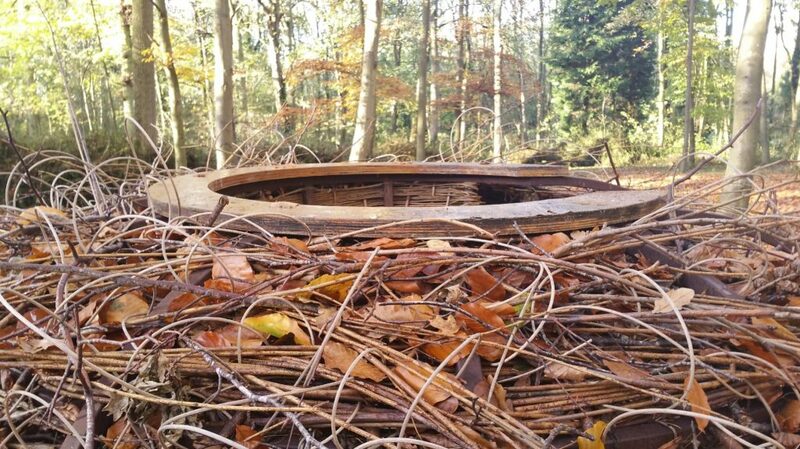 So the idea of human sized nests was born – to symbolise shelter and safety and the need for a place to call home. I drew up an idea for Secret Garden for the Birds – a garden design that incorporated human sized nests to encourage people to think about the plight of birds (not just bird flu, but decline in habitat) and to compare that with our own experiences. 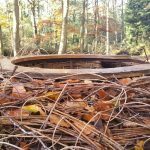 The steel nest structures were designed to be ‘dressed’ – their covering or decoration changed, added to or taken away. 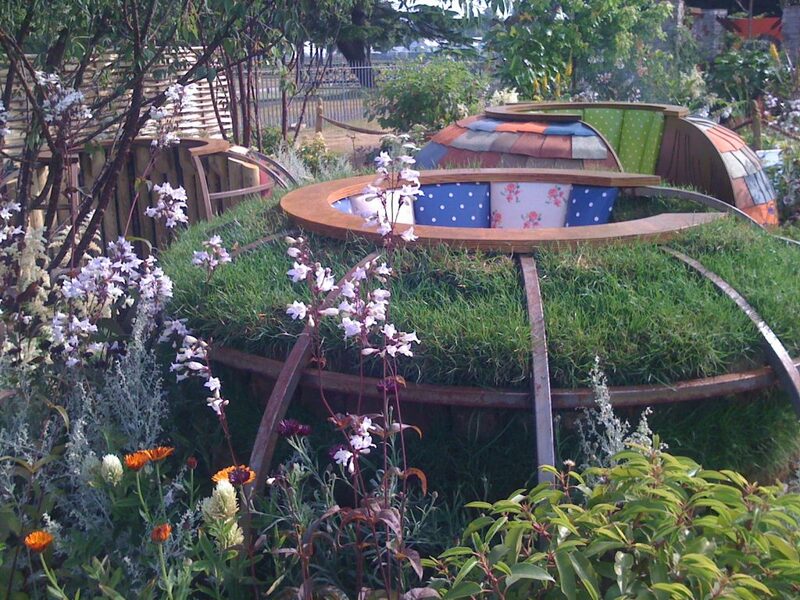 This design gathered dust for a few years before I adapted it for the 2013 Hampton Court Flower Show as garden called Home Spun – the concept being the ‘nesting instinct’ – how humans choose to create unique structures and call them home. 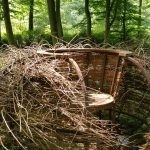 The three nests were dressed in stone and turf, shingles made from recycled rubber and fabric panels. After the show, one of the nests went to a hospital garden, whilst the other two were stored until I found a new home for them. 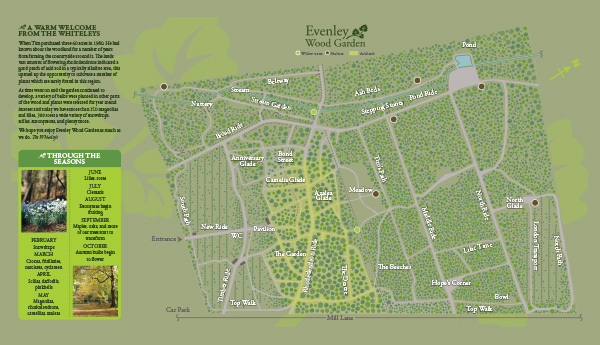 I was delighted when Evenley Wood agreed to have them. 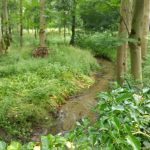 I had visited Evenley Wood on several occasions, drawn to the unusual sight of colourful rhododendrons, azaleas and camellias (it was a real treat to see these plants flowering so prolifically and healthily in this area). 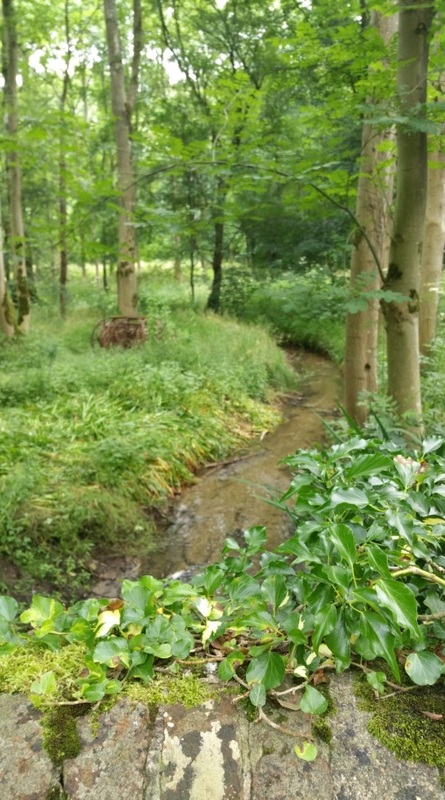 It was the perfect location for the nests and an opportunity to experiment with a new set of materials. 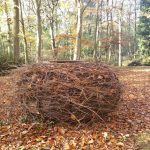 I chose to work with willow and wool and materials I found in the woodland. After the tightly designed and measured approach I employed for the Hampton Court dressing it has been great fun to weave on a large scale in a fairly intuitive way and without the restriction of a deadline. 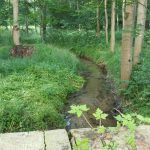 I forget how many hours I have spent in the woodland working with pre-soaked willow rods or gathering wind fallen branches. When the season has allowed I have also harvested colourful willow from the banks of the pool. Although my initial inspiration was bird’s nests, I have employed some traditional basketry techniques, which have been slower to execute on a large scale, but the contrast between the neatly woven and the random works well. 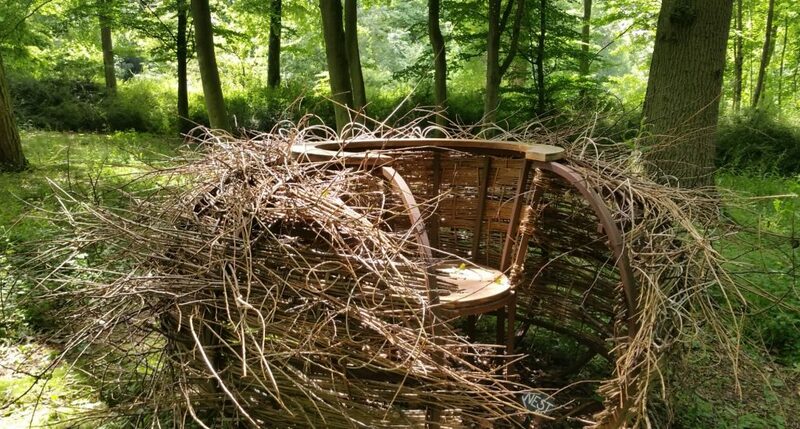 The nests will remain at Evenley for the foreseeable future and for now I will continue to add material, whilst nature gently removes it (the wool has been plucked and tugged loose, branches and willow rods become brittle and break over time). At some point no doubt, the time will come to strip the structures bare and begin again with a new approach, perhaps in contrast to the surroundings or reflecting a different relationship with our environment and the rhythm of the seasons. The bare steel structures have a beauty of their own, now that the metal has rusted and started its journey of decay. It would be fitting to reveal these over the winter months before embellishing the structures again as the weather warms and spring returns with its own cloth of green.